I've had this theory for a long time. Sherlock suffers from multiple personality disorder. Multiple Personality Disorder is also known as dissociative identity disorder. It is caused by a childhood trauma. I think we see Sherlock dissociate a lot on the show. In my story Sherlock's childhood trauma was based on the Sussex Vampire. It seems S4 might go there too. It kinda spooks me, to tell you the truth. Oh, was it you who mentioned The Sussex Vampire? I was trying to think who ... it has been flagged up by bus stop lady's texts. I think you could be right about that, especially as it's about siblings. Maybe the "vampire" experimented on the dog first. I'm glad i'm not the only one to think so! ​I've discussed it in the post "An imaginary sister? Sherlock = Eurus?" so I won't repeat everything here. ​I think it could really be a possibility, and it could explain a lot of things. Interesting theory. I am quite sure that Eurus just exists in Sherlock's head, that she is either dead or did never exist, probably the former. Hence my thoughts about EMP theory. But I do not think that they are going to show Sherlock suffering from an actual mental illness. This would be something from which it is hard to come back. IMO this would only work if it was something that would heal if he confronted the trauma. But Sherlock with an ongoing, maybe incurable mental disease - no. I have no idea how this would be "insane wish fulfillment" or "groundbreaking" in any positive sense of the word. Yeah to be honest that's pretty much the same conclusion I've come to about Sherlock. I'm pretty sure the Eurus we see and Sherlock are the same person/ mind (though there might genuinely have been a sister in the past). Not too sure about Sherrinford at this point, but given we know ACD almost used the name Sherrinford instead of Sherlock, as well as the "3 people" references throughout the show, I think that's also a good assumption. Yes, that's what happens in ACD canon. The jealous half brother poisons the dog first and then the toddler. I think it'll be slightly different in TFP. Something's for sure, Sherlock blames himself for the death of Euros. That's why he so easily accepts that Mary's death was his fault. Yes, somehow similar. But Multiple Identity disorder is quite different than an imaginary friend. Sherlock actually dissociates into Euros--not just imagines her. That's why he says Sherlock is a girl's name. You know, I really do like the theme with multiple personalities (The minds of Billy Milligan by Daniel Keyes and so on), but I hope it's not what is going on with Sherlock. I love his character, and as far as I know, people with multiple personalities have a reallly really hard life. Every trauma can split them apart. I mean Sherlock already has a pretty mad life. And please, can someone explain me why everybody talks about Sherrinford as about a person? Why can't it be a place? Then it makes more sense for me. Maybe I lost something because of my not-so-good english? 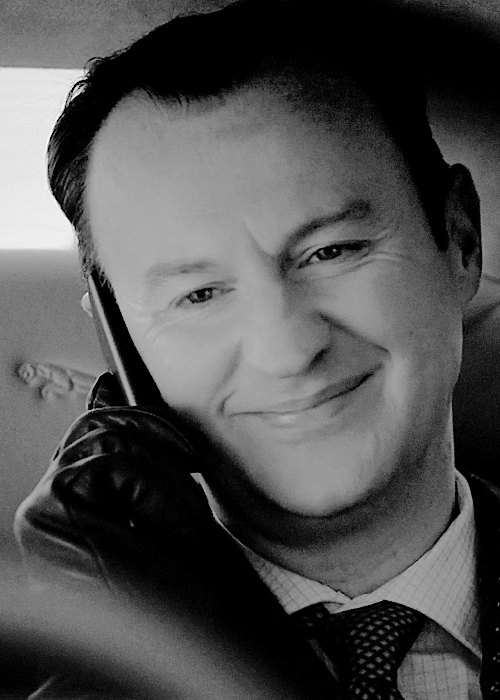 Well, one of my possible plot predictions for S4 is that Sherlock is the antagonist in some way, temporarily. This could be a way to do that. There have certainly been hints since the beginning that he might not be what he seems (although I do think it's important that he ends up as a goodie!). My gut feeling is that this kind of plot (multiple personality) is a bit old-fashioned though. It had it's heyday a good few years ago, I think. Moftiss might like that retro aspect, though, as they are drawing on older material. Lullaby, I think we got in the habit of talking about Sherrinford as a person, because he is a Holmes brother in the Baring Gould version. We've always tended to think of the name as applied to the "other one". It's difficult to change that now we are possibly getting a different meaning! Oh, thank you very much! Now I see. Haven't heard about this. But still love the idea of Sherrinford being a place. What I don't understand, if Sherlock and Eurus is one person, how could John talk to her as a therapist? And in that case they(Sherlock and Eurus) couldn't be together in one plase at the beginning of the episode. Or it was another woman? I don't believe my eyes anymore with this show. 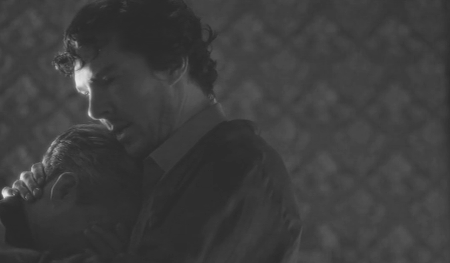 Yes, I keep getting the sense of Sherlock failing to protect in some way. Hence, always wanting to rescue people afterwards. At first it seemed to me that Eurus might have done something awful and been sent away. But given that the actress is younger ... I don't know. I could see Sherlock as constantly subconsciously trying to make up for something awful that he'd done. He says in HLV that Redbeard was put down, so seems unlikely that he poisoned him - but if he did have memory loss, then perhaps that was a story he was told. He could be the one who was jealous of the little sister, and somehow reformed. Although I still get the feeling of him trying to save somebody and failing. I agree about Mary's death - and of course, one of the dreams is when Mary drugs him (when he is trying to save her). I also feel that the way Eurus has been presented as evil, that there has to be a twist and she'll turn out not to be. Love will conquer all, in the end! I find it a bit hard, to call someones one personality, without been noticed by the second.